Many exotic (non-native) weeds inhabit our Open Space, and more appear each year. While many of our goals entail revegetation projects, we are dedicated to keeping what we do have relatively free of various noxious weeds. The spread of European and Eurasian weeds into California has gone through several stages since these plants were first brought to California in 1851. While YST has been in California for a number of years, and actually declined in the 1920s and 1930s, it has rapidly increased its acreage since the 1960s. 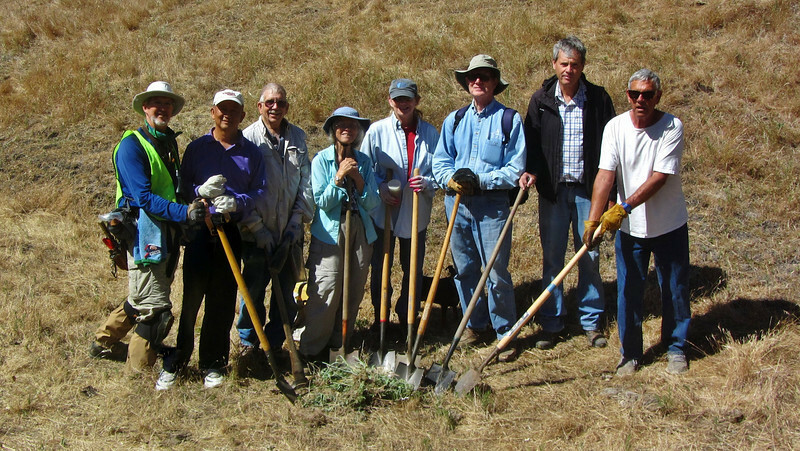 In the past 15 years members of the Foundation have tackled and eliminated YST in Shell Ridge, particularly in the large quarry, along the Briones to Mt. 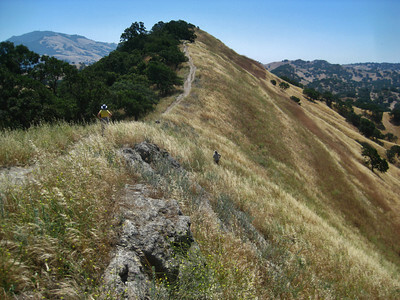 Diablo Regional Trail, and the west section of the Fossil Hill Loop Trail. In 2010, an expanding population of YST was noted on the summit of Shell Ridge and efforts were begun to control it. 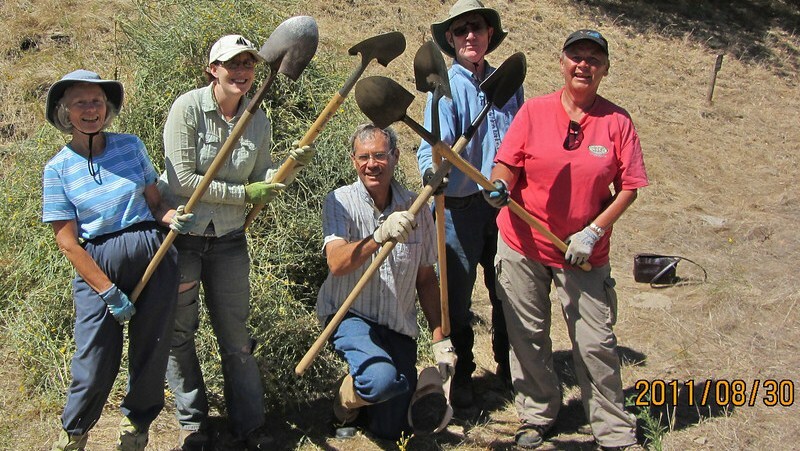 There was a concern that it could spread downhill into the large central valleys of the Open Space, so a small group of volunteers from the neighborhood bordering the Marshall Drive entrance to the Open Space began an effort to eradicate YST. By the fall of 2012, we had, through a combination of mechanical weeding, limited chemical application, and huge amounts of good old fashioned hand work from February to October, mostly eradicated YST from approximately 15 acres of the Ridge.  We have found that if no seed is produced for 2 years in a row, 99% of the previous population is eliminated. In addition, several other infestations were identified by local volunteers and have been worked on steadily for the last several years. In 2011, a party of Foundation volunteers on a seed collecting expedition to the Twin Ponds area discovered a large population of YST to which they returned the following week and eliminated by hand. In 2012, that population of YST had decreased by 90%, and we expect that this year we will find only a handful of plants. In the past 3 years, several other populations of YST and its cousin, Centaurea melitensis (Tocalote), have been identified and put on a list for eradication. 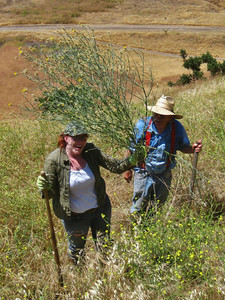 We are hoping that volunteers, Walnut Creek Open Space Foundation members or not, might adopt certain, relatively small areas that will require, after initial bold efforts, a constant vigilance for evidence of new infestations and their continued eradication.